Labels, Colour & Style Options for this Product: As shown - Red & BlueBlueChristmas WrapCream/IvoryGoldGreenGreen & Red TintPinkPink & Purple Tinted WrapPurplePurple Tint (transparent)RedSilver 990 currently available in stock to buy now. 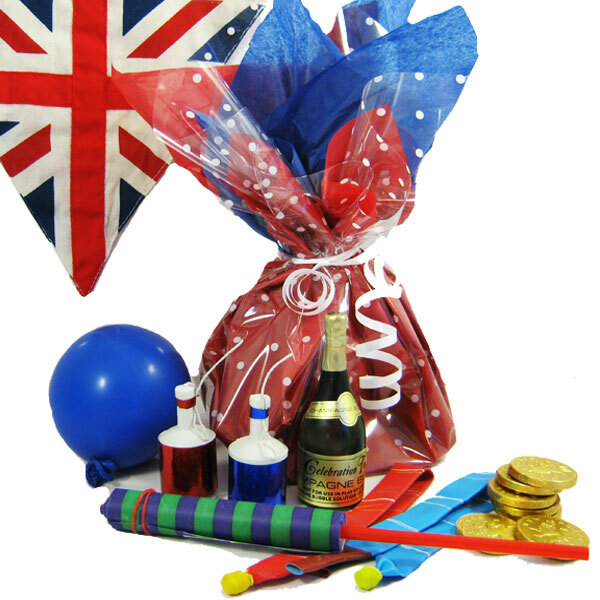 2 x Metallic Party Poppers - pop their corks with a mildly explosive bit of fun! Parties all need an added pop to make them memorable and with these colourful, fun must-haves your party will be remembered as one of the best! Paper lazer - flick out a spiral of coiled paper and then watch it spin back into its original form! Two crazy, noisy rocket balloons to zoom around the crowd! 990 currently available in stock to buy now.